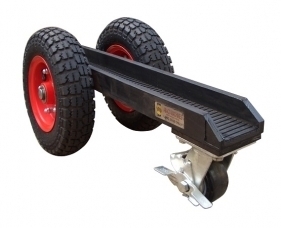 Designed to facilitate the handling and transporting o slabs on the work site. Rubber vulcanized channel protects slabs from chipping and scratching. The Dolly comes with pressurized wheels and a heavy duty locking brake swivel caster that provides additional stability and maneuverability in confined spaces.